Advocate staff photo by BILL FEIG -- Abortion rights advocates rally in front of the Governor's Mansion on Thursday morning in response to anti-abortion legislation that has passed this session. Advocate staff file photo by TRAVIS SPRADLING -- From left, Lafayette's Julie Campeaux, Prairieville's Carter LeBlanc and daughter Gabby LeBlanc, 10, and Katelin Arabie, a Dallas resident studying at The University of Louisiana-Lafayette, hold signs at the 'Women Betrayed' rally outside Planned Parenthood Baton Rouge at 3955 Government St. on July 28, 2015. 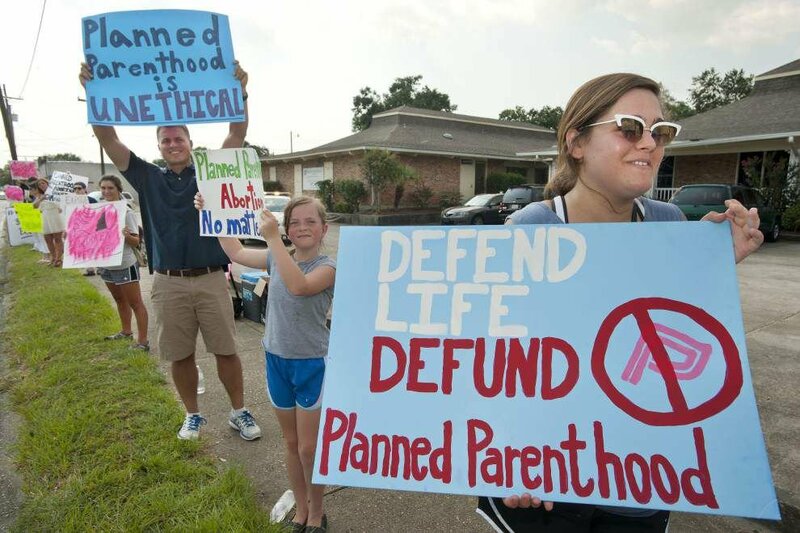 NEW ORLEANS (AP) — A deeply divided federal appeals court in New Orleans refused Tuesday to reconsider a ruling that lets Planned Parenthood facilities in the state continue to receive Medicaid funding. The vote was 7-7 among the 14 active judges on the 5th U.S. Circuit Court of Appeals, which currently has three vacancies. The money in question goes to health services other than abortion for low-income women. However, abortion opponents have opposed any government funding for the organization. In 2015, then-Gov. Bobby Jindal moved to block the funding. Planned Parenthood Gulf Coast, the group's Louisiana affiliate, and three of its patients challenged the funding cutoff in federal court. A federal judge in Baton Rouge blocked the defunding and a three-judge panel of the 5th Circuit later upheld that block. The state sought a full court rehearing, leading to Tuesday's tie vote. The decision comes as President Donald Trump has nominated three people for the court, including attorney Kyle Duncan, who has defended Louisiana abortion restrictions. Jindal was a Republican. His successor, John Bel Edwards, is a Democrat who campaigned as an abortion opponent and allowed the state's case to continue. The case has divided the appeals court for months. The initial 2016 opinion allowing funding to continue was unanimous. However, one member of that panel, Priscilla Owen, later reversed herself, issuing a belated dissent. Tuesday's 7-7 was announced in a brief notice issued by the original three-judge panel. It was accompanied by a more than four-page dissent written by Judge Jennifer Walker Elrod, joined by Owen and five others. The original 5th Circuit decision rejected several state arguments that Planned Parenthood was "unqualified" to provide the care. It also said cutting off funding would deny some women access to needed medical care, and that, under the law, the Medicaid patients have the right to care from the qualified provider of their choice. 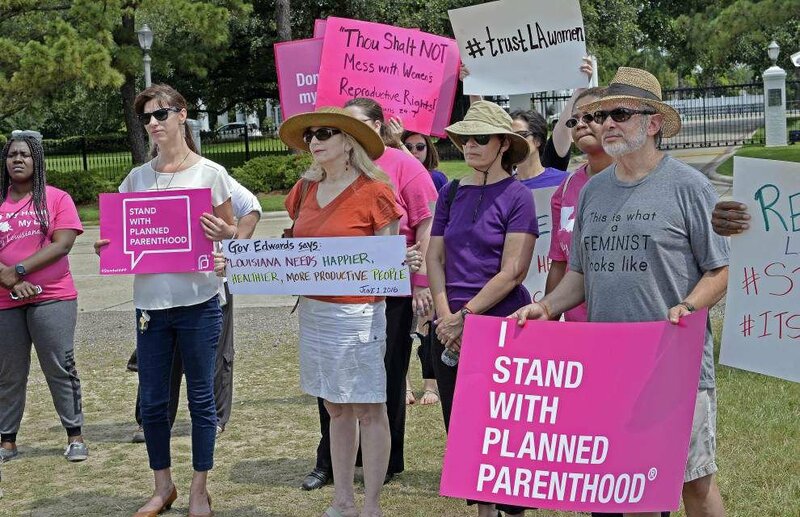 NEW ORLEANS (AP) — Attorneys for the state of Louisiana are trying to revive the state's Medicaid funding cut for Planned Parenthood clinics. Lawyers for the state argued that Planned Parenthood should have gone through an administrative process instead of to court. And they said the panel ruling is at odds with Supreme Court precedent regarding the extent of a Medicaid recipient's right to choose a care provider. "As a result of the majority opinion's holding, a Medicaid provider can now make an end run around the administrative exhaustion requirements in a state's statutory scheme," Elrod wrote. It won't be the court's final say in the case — the decision upheld a preliminary injunction in a case still pending in district court. But Elrod lamented that Tuesday's opinion "is binding precedent that will guide the development of law in our circuit."